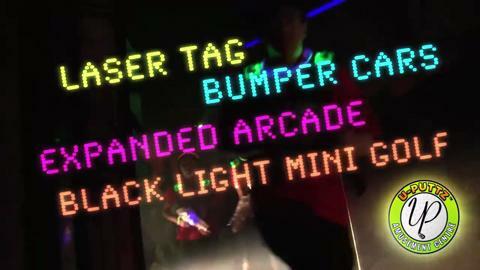 UNLIMITED Mini-Golf, Laser Tag & Bumper Cars. Note: There is a cafe & arcade for extra $$ if desired. How many words can you get your friends to say without saying them? Come and win a prize! Also we start a brand new series called Measure Up!